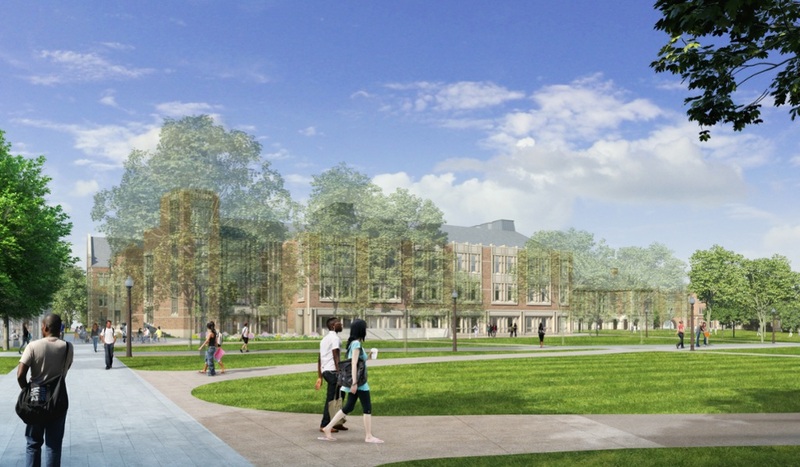 Earlier this month Washington University in St. Louis Chancellor Mark Wrighton presented refined designs for seven major additions for the east end of the Danforth Campus to the school’s Board of Trustees. The overall transformation had been greenlighted a year ago this month. We’ve long followed what will be the most significant transformation in a century for a school that has seen plenty of change in recent years. 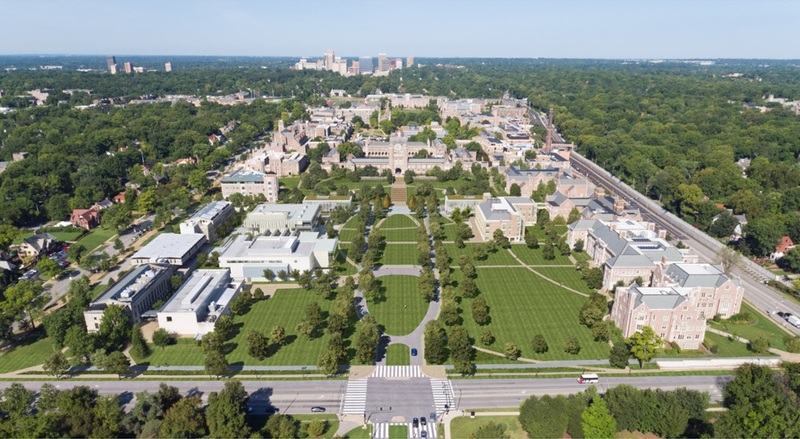 Nearly a dozen major projects have been completed in the past decade, including buildings for the schools of social work, business, engineering, law, as well as an art museum, student center, athletic center, and others. It was two years ago that we wrote about the coming transformation, including an underground parking garage, closure of Brookings Drive, and additional buildings. In May of last year, it was revealed that architect KierenTimberlake had been chosen to design Weil Hall and other structures. Others working on the project include Michael Vergason Landscape Architects, Moore Ruble Yudell, Mackey Mitchell, and BNIM. 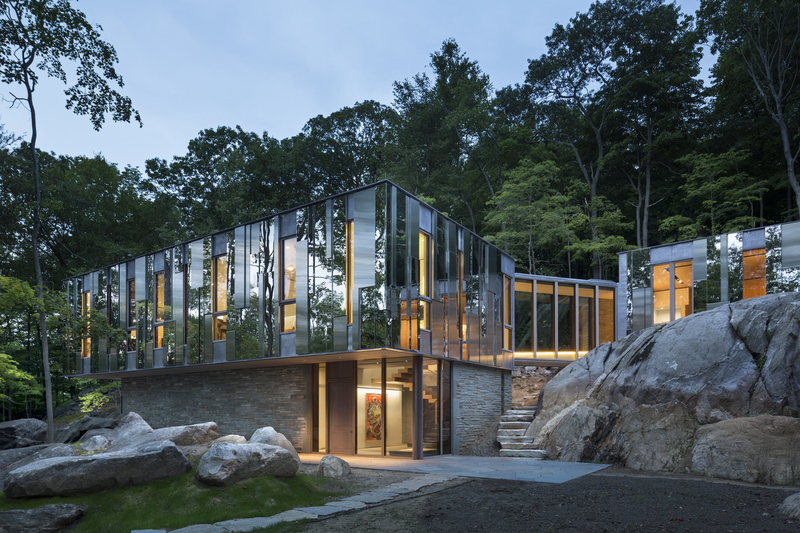 Architect: Michael Vergason Landscape Architects, Ltd. 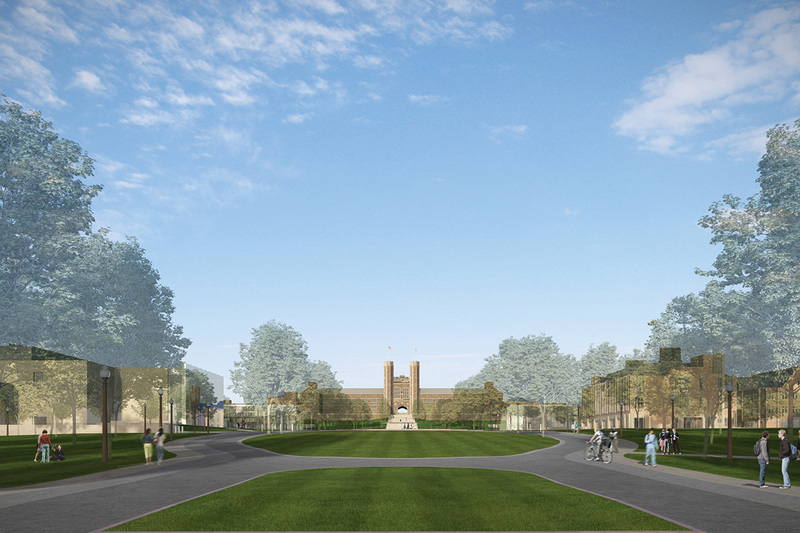 The Central Green is the heart of the new east end and will provide a special gathering place on campus. This expanded green space will increase the number of trees and enhance the pedestrian experience by eliminating most vehicular traffic. The Sam Fox School of Design & Visual Arts’ Weil Hall will be an inspiring place for creative activity, scholarship, innovative research and bold experimentation. 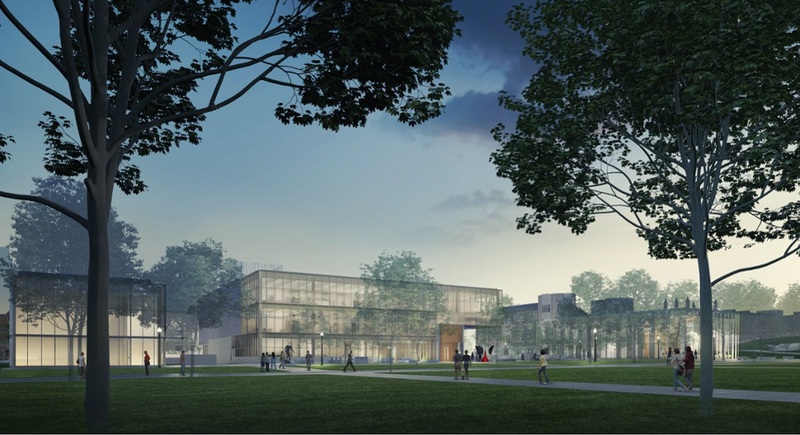 Weil Hall will provide contemporary facilities for graduate programs in art, architecture, landscape architecture and urban design. It also will provide technologically advanced shared resources across the school for digital fabrication and interdisciplinary design. As the home of the Department of Mechanical Engineering & Materials Science, Jubel Hall will foster the interdisciplinary nature of engineering. 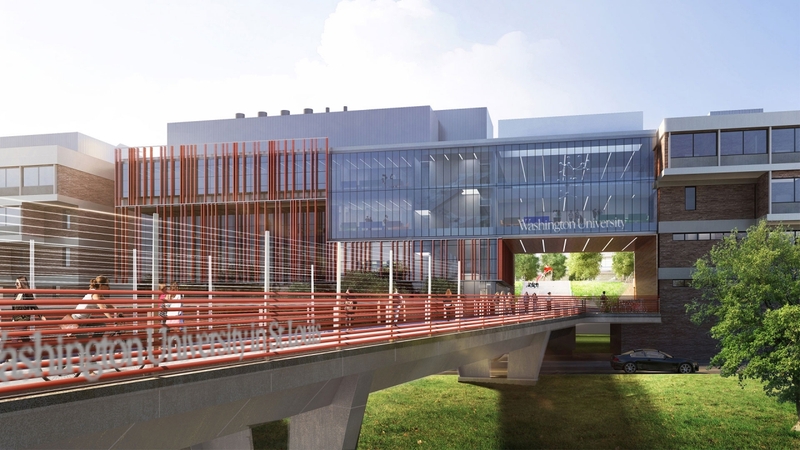 In this building, mechanical engineers will work with physicists, chemists, biologists, and chemical and biomedical engineers to promote the convergence of mechanics, materials science, and nanotechnology. 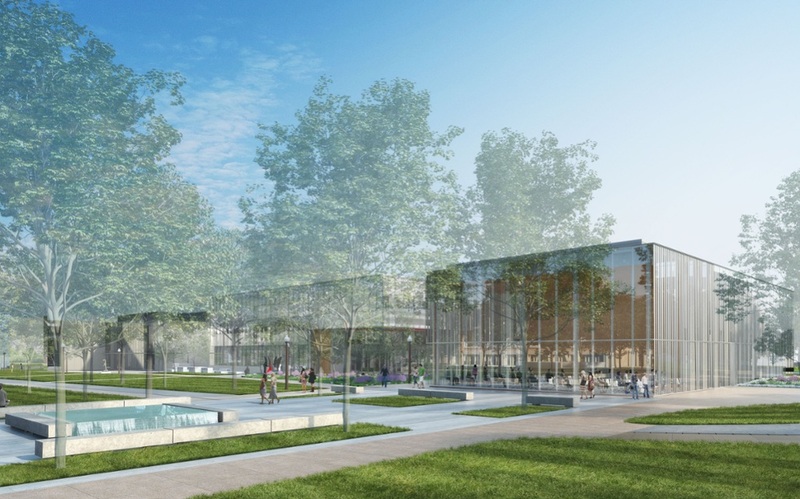 The Sumers Welcome Center will receive campus visitors with sweeping views of Brookings Hall and offer a starting point for their campus experience. 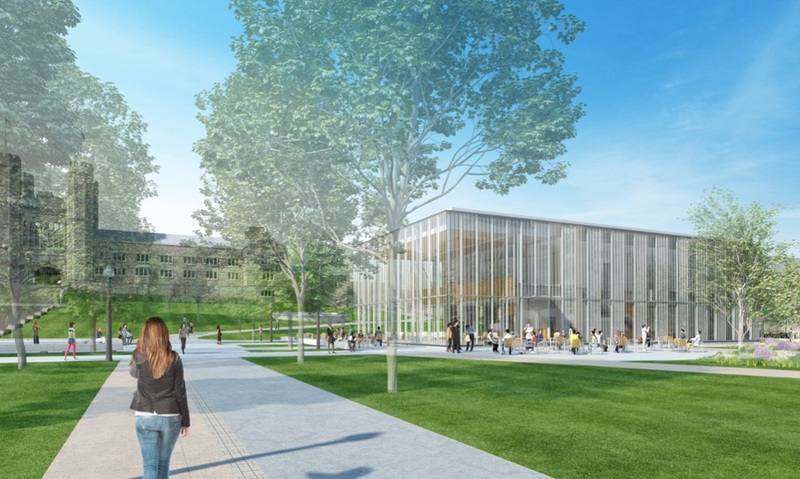 The center will house Undergraduate Admissions and Student Financial Services. 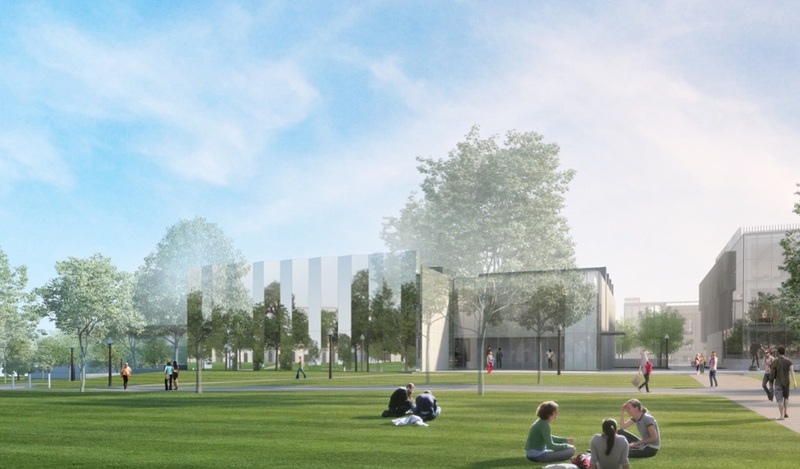 An expansion on the north side of the Kemper Art Museum will create the Laura Kemper Fields Gallery, allowing the museum to showcase a larger portion of its world-class collection and expand its exhibition program. The project also will add a new entrance foyer and integrate the Florence Steinberg Weil Sculpture Garden into the Central Green. 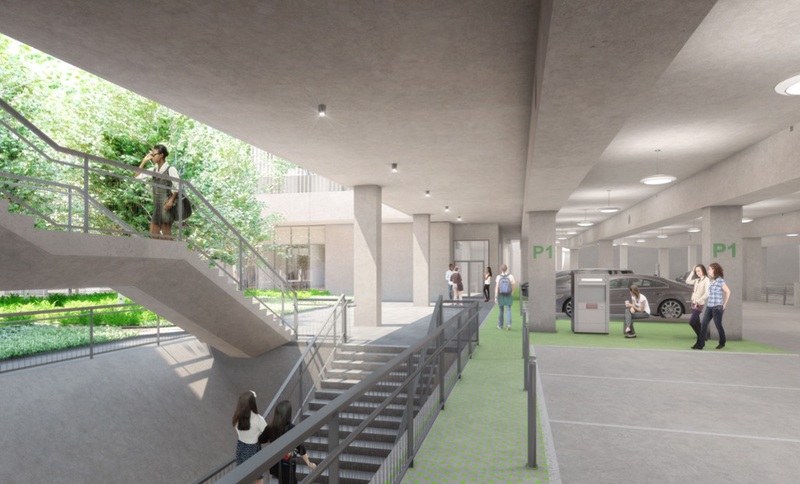 The Hub will bring together a range of dining options, academic programs (including Environmental Studies), the Office of Sustainability, and resources for pedestrian and bicycle commuters. The facility has been designed to fully integrate into the east end experience. With natural light and high ceilings, the garage will provide convenient access to the Danforth Campus, especially east end destinations.